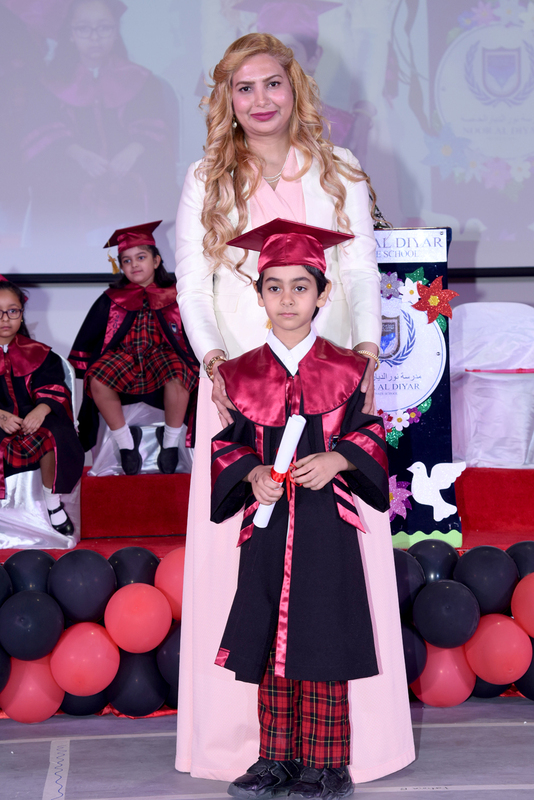 Fourteen Kindergarteners at Noor Al Diyar Private School, situated at Diyar Al Muharrq, celebrated their Graduation ceremony last night in the gracious presence of Mr. Ali Hasan, (Chairman of the school), Ms. Sameera Ali Hasan, Dr. Muhammad Mashood (Directors), parents, family members, school officials and other dignitaries at the multipurpose hall of the school. The first graduation ceremony was marked with splendid celebration and festivities in the newly built British curriculum school. Noor Al Diyar Private School with all modern amenities was officially opened in December 2017, by His Excellency Dr. Majid bin Ali Al-Nuaimi, honourable Minister of Education, Kingdom of Bahrain. 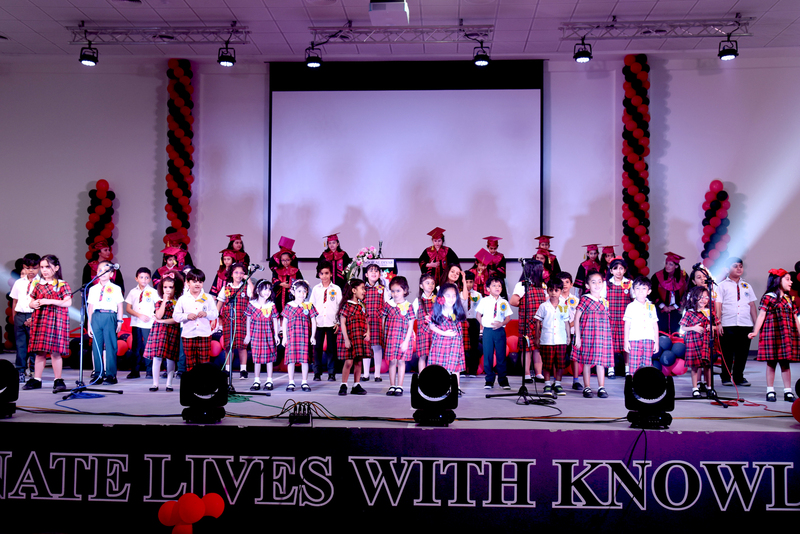 The evening was filled with a lot of activities from the students of the school especially from the graduated KG2 students. The experience of the little onesat the campus was presented through a video presentation to theappreciation of the attendees. 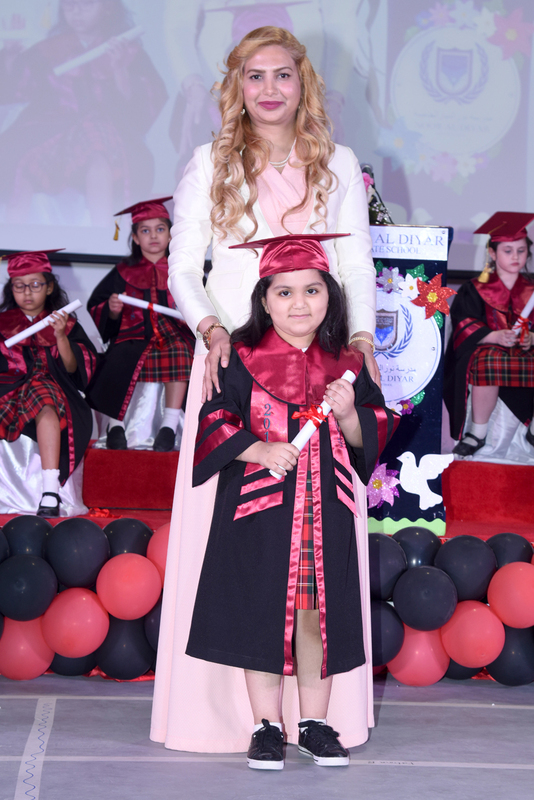 Director Ms. Sameera Ali Hasan presented the certificates of graduation to the KG2 students. 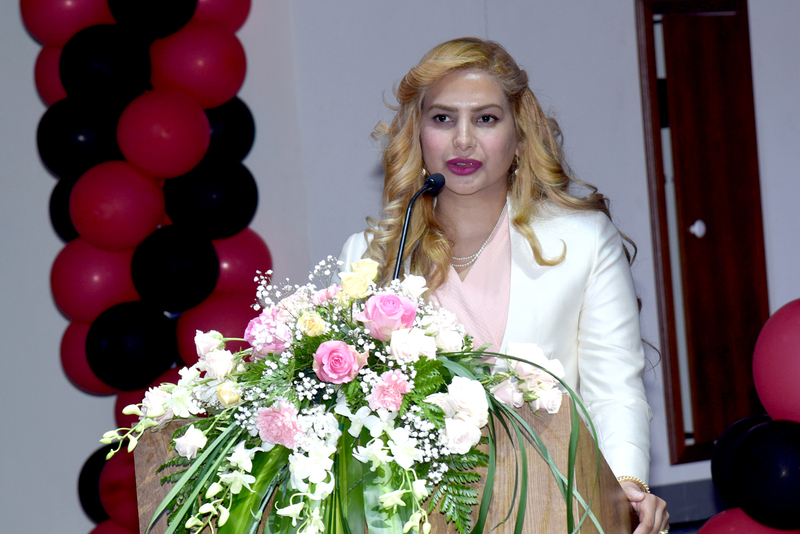 “Our aim is to get the students to reflect,solve, create, grow and think,” said Ms. Sameera during her speech. The KG2 children have been learning about respect, good manners and a consideration for others amongst many other qualities, she added. 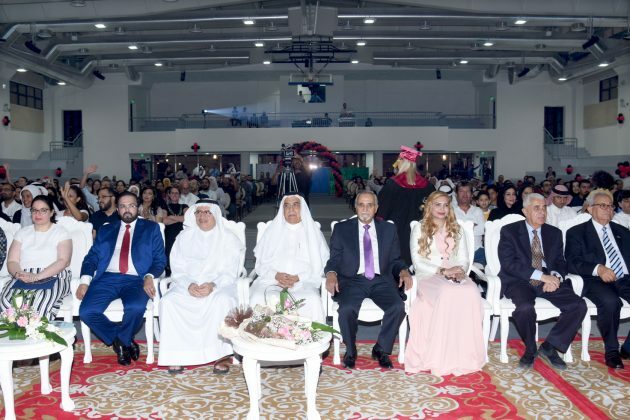 Established by Ali Venture International Holding Company,a group of highly motivated educational enthusiasts and futuristic entrepreneurs, Noor Al Diyar Private School is created with one primary aim; to provide top quality British Curriculum education to various nationalities in the Kingdom of Bahrain. 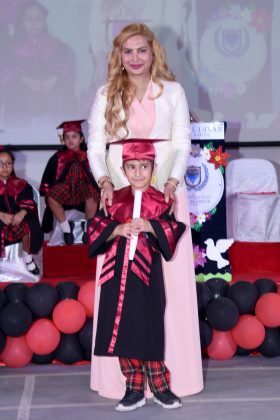 “Noor Al Diyar sets the perfect environment, ensuring a positive platform for the happy and healthy development of every child. “We are committed to progressively and attentively monitoring the academic and extra-curricular needs of our students, whilst offering individual freedom to nurture confidence and unleash creativity’’, said Mr. Ali Hasan, Group Chairman and Founder. The school accommodates students from Foundation 1 to A Levels. 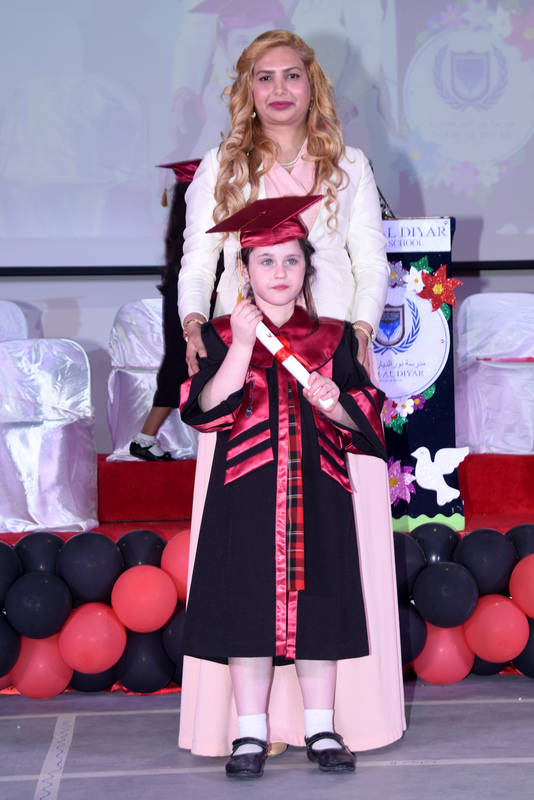 Class limits are set to ensure that each and every child receives adequate attention and support in their pursuit of knowledge.